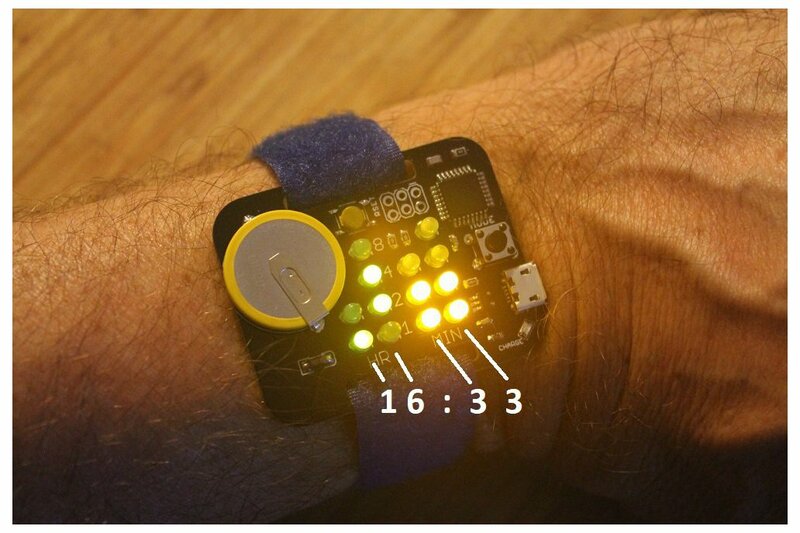 A binary watch to teach you binary counting. 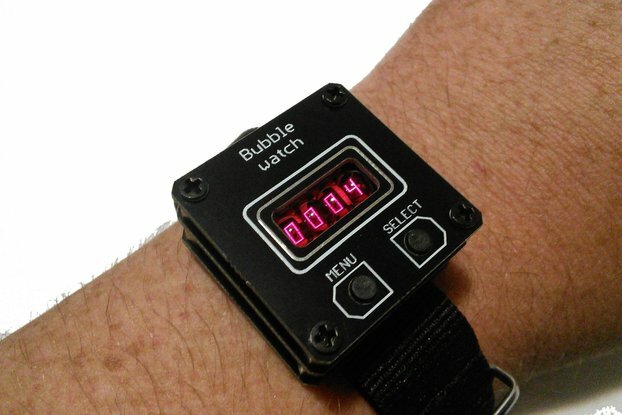 This is a simple binary watch. The first two green columns read the hour (hh) and the second two yellow columns read the minute (mm). 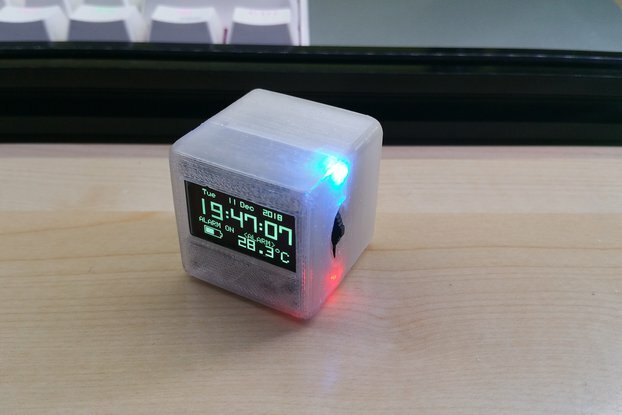 A press of the button displays the current time in binary for about 4 seconds. During that time, a second press will show the battery voltage in the two yellow columns (as x.y Volts where x is the whole volts and y is the decimal part, ex. 3.8). The watch will last for weeks on a charge and recharges through a standard USB micro charging port. You will be amazed how quickly you pick up counting in binary. Watch comes fully assembled and has a simple velcro band. The electronics have a sealant applied but the watch is not water resistant. Watch reads out in 24-hour time format (don't you want to learn what 13-23 look like?). I don't know why, but I have always been fascinated with unique watches. I wanted to create a simple binary watch for people who want a unique time piece or want to boast of their bi-numeralism (you will speak both base 10 and base 2). The watch has a long standby time and will show the current voltage of the rechargeable battery so you will know when to recharge it. I can only ship to the US due to the installed rechargeable battery.